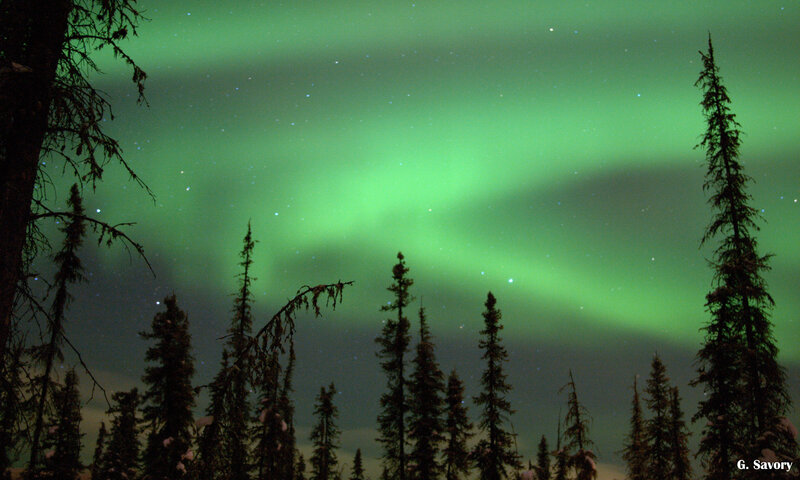 It’s northern light season here in Fairbanks. I see them sometimes when I run outside to my outhouse and run back (it’s -35 F right now). Most displays last a few minutes and arc across the sky in the north, but sometimes, they last hours and happen directly overhead. They always start out small though. First a faint white ribbon, then a green wavering curtain, and finally a gracefully bending green spotlight. Some nights, especially a little farther north, the green light covers the entire sky and seems to descend the 95 miles to envelope me on the ground. I find myself holding my breath because I am convinced I will breathe the light in as if it were the smoke and ash that reaches spectators at the finale of a firework show. The northern lights are stunning beyond compare, no photo or film can capture them, but they may be more than just a tourist opportunity, they may be associated with a shortened life span. the northern lights are created by a reaction between the sun’s particles and the earth’s atmosphere. During a solar maximum, when the sun has the most sunspots and solar flares that spew more particles and ultraviolet light, auroras are more frequent and intense. A recent study from the Norwegian University of Science and Technology found that individuals born in Norway between 1676 and 1878, lived an average of five fewer years if they were born during a solar maximum, compared to those born in a solar minimum. Maybe all that ultraviolet light interferes with early human development. 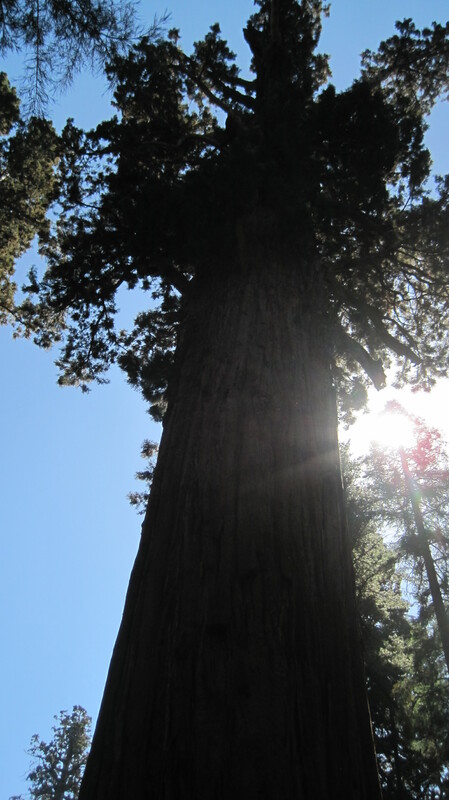 General Sherman, the world’s biggest tree. Photo by author. In contrast, a 2006 study showed the solar cycle had no effect on life span. Which is more accurate? The earlier study contained population data, not data gathered from individuals. It also used populations living farther south. It makes me wonder if my friends who were born here in Alaska have different exposure to solar activity. Of course, I was born in Utah elevated by the Rockies. I was that much closer to the sun. Either way, it will be interesting to see if more studies illuminate yet another aspect of our relationship with our closest star. It’s a strange, but not surprising thought, that the sun, giver of all life, warmth, and beauty could effect something as complex as how long we live.